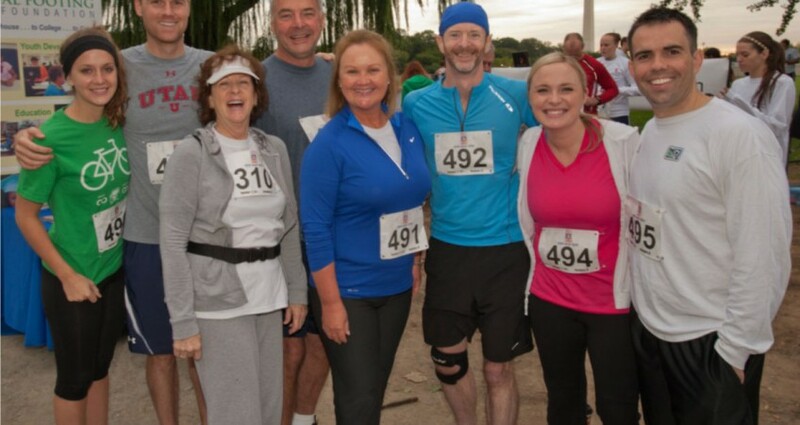 TSI participates in 8k race to support the Equal Footing Foundation. - Transformation Systems, Inc.
TSI participates in 8k race to support the Equal Footing Foundation. TSI volunteers competed in the 4th Annual Run! Geek! Run! 8k on September 17, 2011 in Washington, D.C. The TSI team ran the course through West Potomac Park,with several team members beating their personal best race time. Three members of the TSI executive team participated including TSI CEO Marta Wilson, COO Robert Wilson and CSO Altyn Clark. All proceeds from the race benefit the Equal Footing Foundation. The Equal Footing Foundation is one of TSI’s charities of choice as part of their Feed to Lead Program. The foundation supports youth development and education and is the charitable arm of the Northern Virginia Technology Council. TSI CEO Marta Wilson started the Feed to Lead Program which commits multi-year fund-ing earmarks and time to fight hunger and promote literacy and STEM education. For more information about the program. TSI is a fast growth management systems engineering company of PhDs, possibility thinkers and business authors who help forward thinking military and civilian leaders within the Defense community achieve their extremely challenging goals in ways that are most efficient, effective and responsive. The TSI team has been recognized repeatedly for helping set historic records as part of the Defense community’s counter – IED effort within the Joint MRAP Vehicle Program and by the Naval Sea Systems Command for facilitating successful technology transitions such as ERP. When leaders must improve enterprise performance without increasing their budgets, they call TSI for management systems engineering solutions that increase productivity and save money.